These are the sites I use when doing most of my research on the statistics and history of rides, roller coasters, parks, and carousels. First off, let me plug my own YouTube channel called Themeparkfanatic where you can find over 300 videos relating to the amusement and theme park industry. Rollercoaster Database is a good site to get some history and statistics as the parks. Coastergallery.com is a great site to see some fantastic pictures of rollercoasters all over the United States, Canada, and overseas as well as some interesting facts. He also has a YouTube channel as well. The National Carousel Associtation (NCA) is a site I use to find out all kinds of information, history, and photos on the different carousels I’ve been on. The American Coaster Enthusiast (ACE) is another helpful site where I get some information on roller coasters. 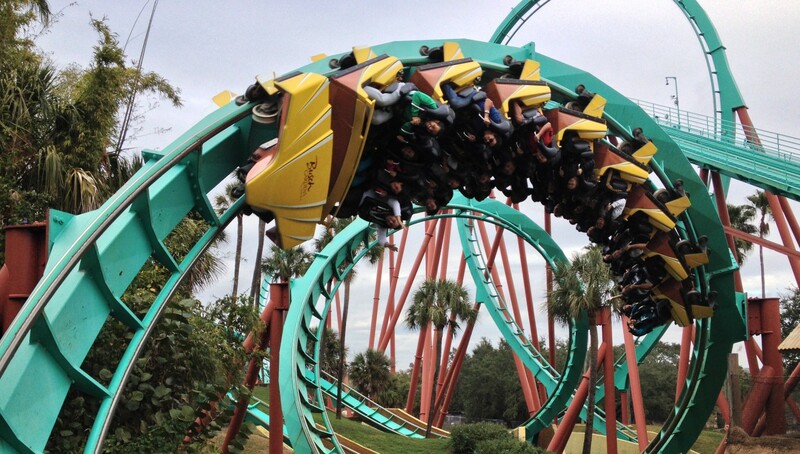 Here’s a link to the Florida Coaster Club with which I am a member of. Here are some of the theme park related podcasts I listen to on iTunes. The Unofficial Universal Orlando podcast is a great way to keep up to date on the things that are happening at all the Universal parks worldwide. The Unofficial SeaWorld Podcast is a great way to keep up to date on what’s going on at the SeaWorld parks and listen to great interviews with trainers and their rescue and rehabilitation efforts. The DisAfterDark Podcast is a great way to get an adults view of what’s going on in the Disney parks around the world with news and interviews. The E-Ticket Report is another great podcast where you can get news and opinions on what is going on in parks across the North American Continent. The Season Pass Podcast is one of the best podcasts I’ve heard as he gets some really great interviews from industry insiders and experts as well as the usual news and some rumors.